This new technology introduced by Sjogren eliminates spindle downtime associated with wire guide bearing failure. Using two carbide rails rather than a rotating body to guide wire, Static Wire Guide technology can replace nearly any bearing-based guide in your drawing operation: dancer rolls, roller boxes, traversing guides, etc. By allowing wire to roll, rather than slide, into the drawing machine, Inlet Guide Roller Boxes help reduce marking or scratching. Sjogren’s roller boxes are completely compatible as replacements to worn units from other manufacturers. Maintain the correct wire line height in a wide variety of applications and configurations. Sjogren’s guides are fully compatible as replacements for whatever assembly you currently have in place. The adaptability of our guides makes them ideal for wire mills/OEMs that build their own wire draw machines. 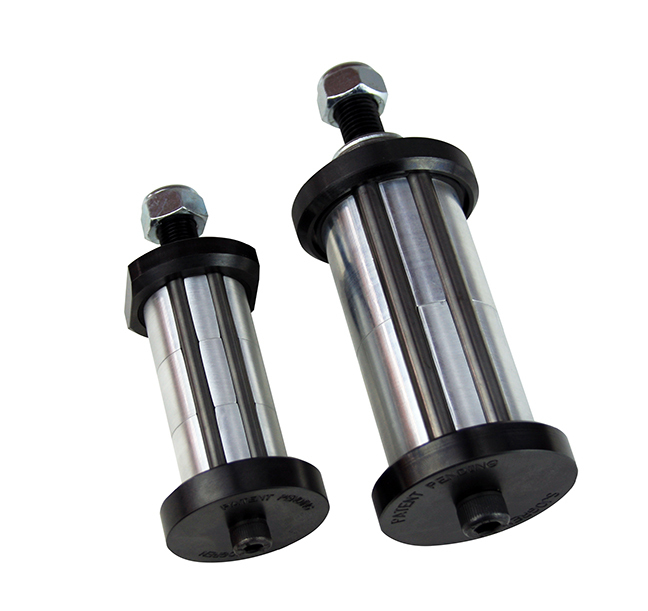 The modular design of Sjogren’s Wire Guide Rollers accommodate a wide range of material sizes. The flange mounting design provides many mounting options and keeps installation costs low; they are suitable as replacements to any manufacturer’s guide rollers you have currently installed.